Are you ready for this? Kindergarten, that is. Is your child one in 10,000? 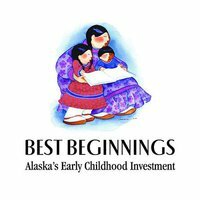 This August, about 10,000 Alaska children will enter kindergarten, the beginning of their formal school years. Will your child be one of that group of 10,000? 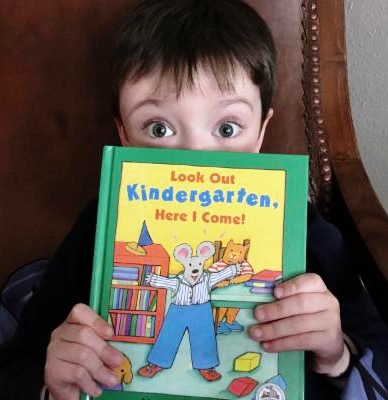 When children enrolled in Imagination Library turn 5, their last book is Look Out Kindergarten, Here I Come! Many parents send us photos of their child and that rite-of-passage book. It’s likely that you and your child have been getting ready for his walking through that school door, and that doesn’t necessarily mean teaching him the ABCs or how to count to 100. Being ready includes much more than a few isolated skills. So, what does being ready for kindergarten mean? Find out here . 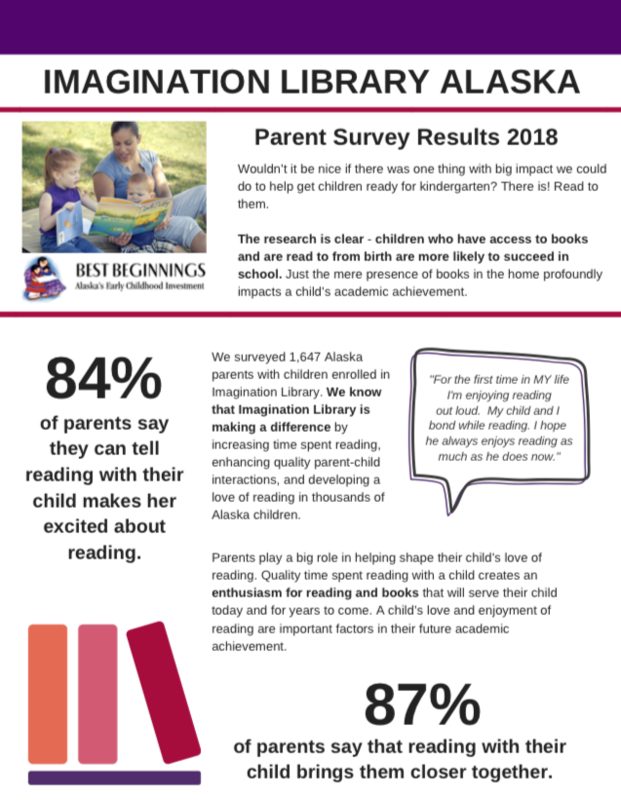 We surveyed 1,647 parents in Alaska with children enrolled in Imagination Library and the results are in! We know that Imagination Library is making a difference in the lives of families. 81% of parents are reading more with their children because of the books they receive through Imagination Library. 87% of parents say that reading with their child brings them closer together. Bottom line? Imagination Library is growing readers and building strong families - important steps on the road to school success. Thank you, University of Alaska College Savings Plan! Look who joined the fun this year at Reading Rendezvouz. 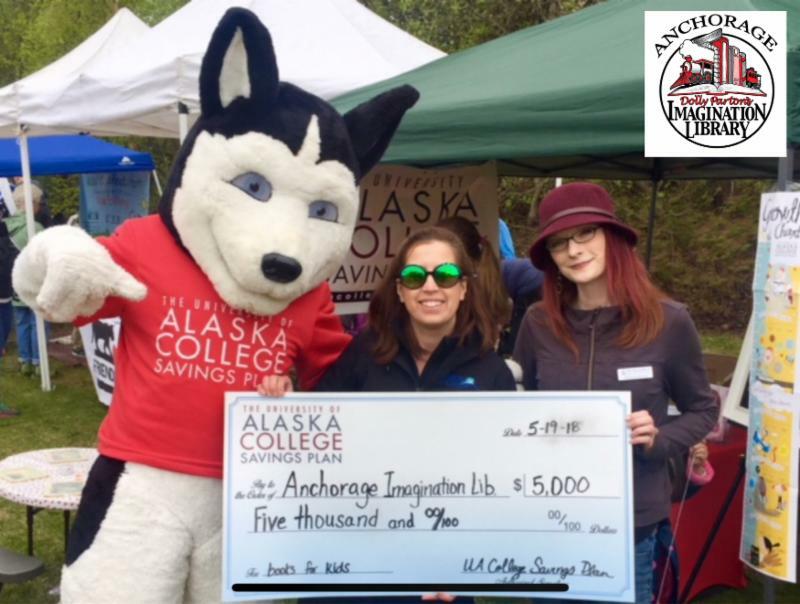 Dash the mascot and his friend from UA College Savings Plan stopped by to give Anchorage Imagination Library a gift of $5,000. We can't say thank you enough! Their gift helps us get more books in the hands of Alaska children, which means a better foundation for school success for years to come. If you've dropped by our office recently you may have noticed a couple new additions. Over the past few months we've welcomed two new staff members to our team! In March, Amie Collins came on board as our Communications & Development Director. 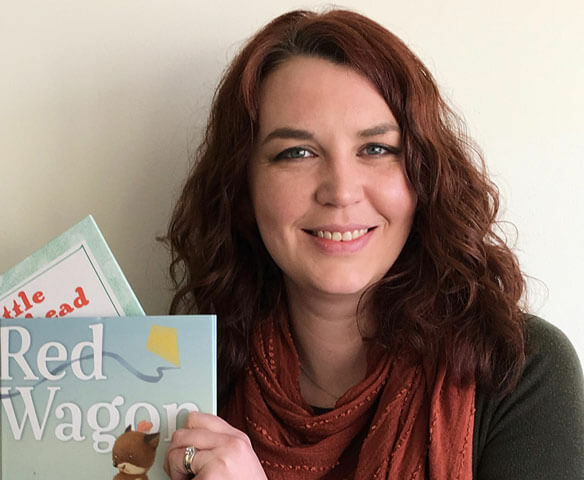 This month, we also welcomed Mara Carnahan as our Early Literacy Director. Lastly, we said a warm farewell this month to Laura Cisneros. Laura joined Best Beginnings in 2014. She has been instrumental in supporting our organization and the work of Imagination Libraries across the state. Though we are sad to see Laura go, we wish her nothing but the best in her new home outside of Alaska. 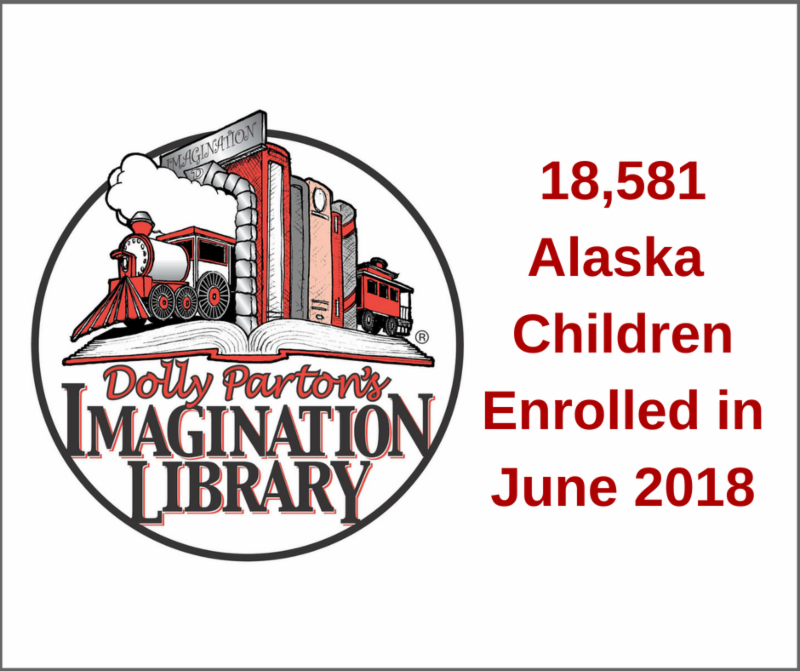 A special congratulations to North Star Imagination Library! They celebrated their 10 Year Anniversary in late May.